This was a very remarkable tasting and I'm extremely thankful to Amir Sheinman for putting it together, buying the wines and inviting me. With my fiftieth birthday coming up, I've developed a tendency to dwell on the passing of time, how the decades seem to just roll out of my grasp. 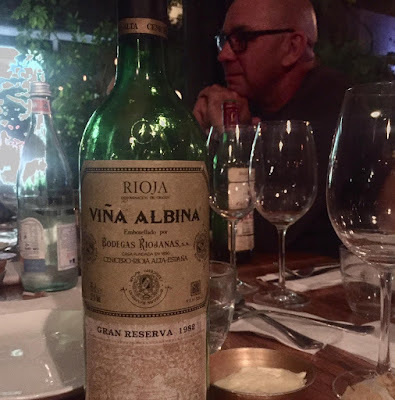 So a tasting of mature Riojas - a region once the bastion of old school wine-making that has been giving way to modern technology for the last twenty years or so - obviously struck a chord. 1964 - I wasn't even born; actually, my parents weren't even married yet. 1970 - I was playing in the sandbox in day care. 1978 - We were living in a dead end small town in Long Island, the absolute low point of my life. 1981 - Back in Israel, my musical education is limited to the Beatles. 1982 - I discover the Rolling Stones and suddenly the future looks bright. But let's focus on the wines and not on the whining. And let's start with my wines of the night. The flight makes a few strong points. 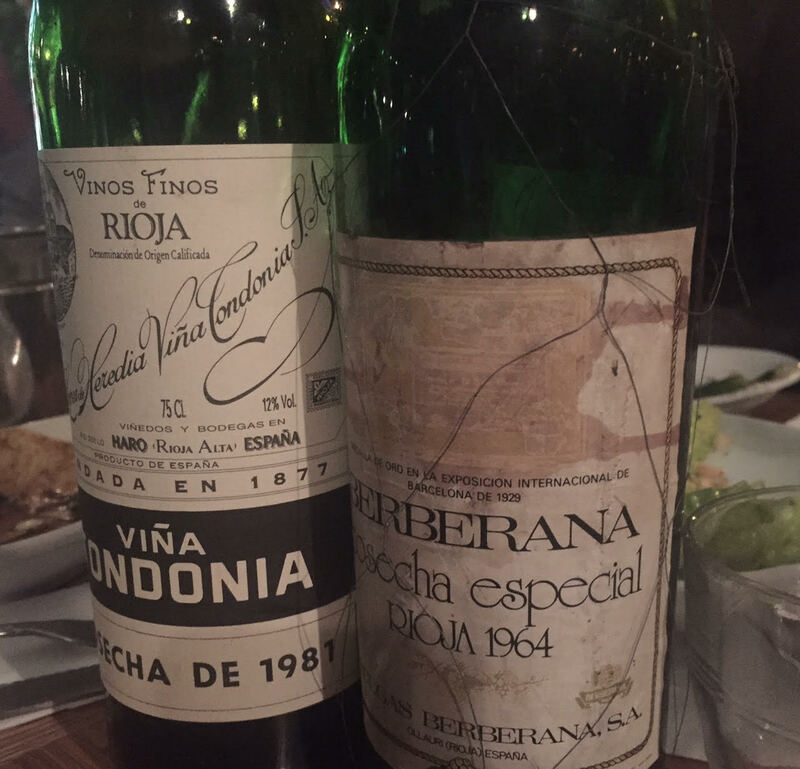 The first is how well classic Riojas can age. The second is, given they can age so well, what a difference two decades can make. 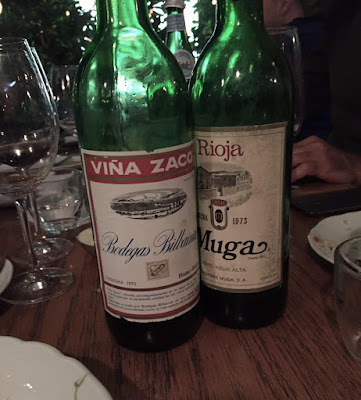 And, finally, the consistency of the house style - despite the age difference, there is a common theme and character, as both wines are throwbacks to an age before technology took over, yet for all of that, they show confident craft. The two are savory and redolent of roasted meat, the 1964 is mature and ready, the 82 still young - like the Riojanas (drunk in the preceding flight and which you can read about below), it is savory with that sense of crushed fruit and leaves that I can never really capture in notes. The 1964 is like smelling a steak and its juices and dressing, with coffee on the side, very expressive and idiosyncratic . Really the absolute example of the kind of wine they don't make any more. 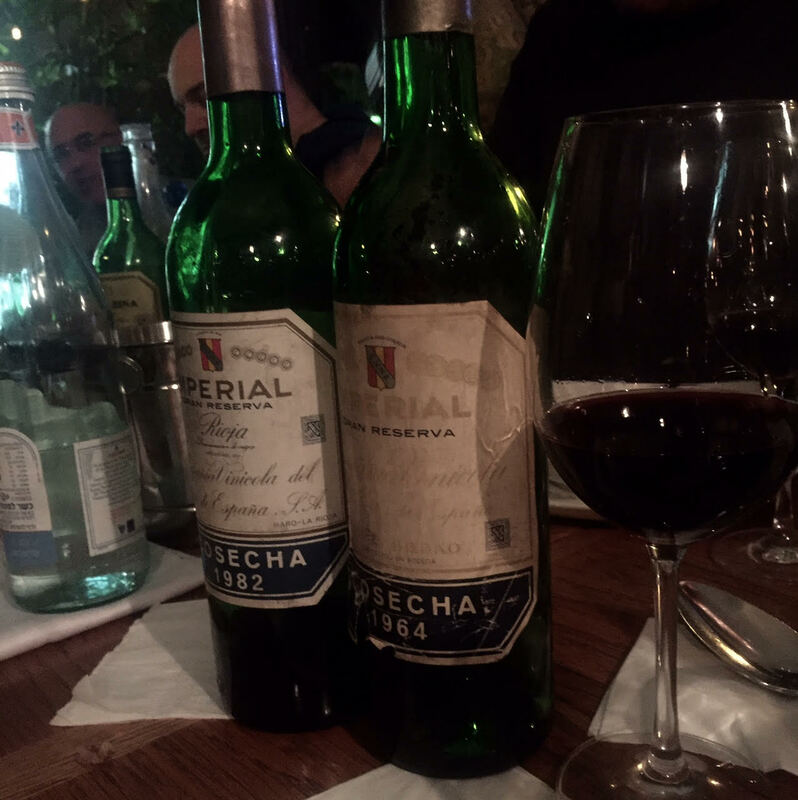 The 1982, by comparison, has decades of vitality and growth, with deliciously savory tannins. And back to the original batting order. Complex, fragrant mature aromas: leather, vegetable stew, rust. I love this sort of wine, because I love the stories odd creatures like this tell. But it's a survivor from another age and might not win many popularity contests. The palate is a fine balance of mellow fruit and integrated tannins that form a savory background, the structure supplied by acidity only. A strange nose, annoyingly metallic where the Vina Zaco was merely rusty. The palate has more presence, but overall, this is a foursquare npn-entity lacking the charm of the Vina Zaco and it unravels in the glass. I dunno, this sounds like a gang name from Breaking Bad. Which is apt, as this is a bad wine, a carcass reminiscent of an Oloroso. Granted, time has not been kind to it - but with so many wines showing such success in holding up to, indeed flourishing under, the passage of time, I am not going to be tolerant. This is marvelous, truly the best of all worlds, powerful yet nuanced, with aromas of tobacco, charred fat, mildew and exotic spices. Meditative, yet open and food friendly as well, it lasted a very long time in my glass. This has a mellow maturity, but what it doesn't have is the power of the CVNEs or the ephemeral delicacy of the Vina Zaco. I like it in passing, but it just doesn't measure up. Although at one point it starts to pick up complexity and length, it then flattens and shows only red fruit. Very similar to the C.V.N.E. 1964, with the same coffee and steak funk, albeit with less focus. It's very interesting, with a unique herbal print and keeps twisting and turning. In the end I really like it a lot, even if less than the Imperials.